In this article I look at a rationale for introducing mobile learning where you work, before going on to share five tips designed to help you get started. Most schools can’t afford to keep buying computers, laptops, projectors, smartboards and everything else that has come and gone in EdTEch (Educational Technologies) in recent years. Yet in most schools, students come with very powerful tech in their bags: mobile phones. Schools might consider using these devices, and spending the money they do have on things like projectors for the teachers and good WiFi. If you use your students’ phones in class, you’re less likely to need to learn any new technologies, and even less likely to have to provide technical support. Most people know how their phones work, and this leaves you free to concentrate on the teaching and learning, rather than the tech. Mobile phones can be distracting, but they can also be easily set aside. Unlike computers and laptops, mobile phones can be turned on and off immediately, and become almost invisible when placed upside down on the table in front of a student. Decrease distraction by having students turn off notifications. You will probably only use the phones for five minutes or so each class – the rest of the time they can be left to one side. Using your own device can be highly motivating. Using your own data on the device even more so. Try to use students’ photos, videos and songs, etc., as language input items. Personal, intrinsic motivation and involvement in the class should increase dramatically. Combine language activities with the production of images, audio and video – capitalise on their interests, and the kinds of activities they already do on their phones. Mobile phones facilitate a connection between what happens inside the class, and what happens outside. Have students bring in things on their devices to use in class (images, examples of text, etc. ), or finish an activity they started in class when they get home. It’s often difficult to link the classroom with the outside word, and mobiles can make this process easier. Make use of the different affordances of mobile devices. Not everyone needs a super-modern smartphone or Apple device to engage with mobile learning – you can do a lot without an ultra-expensive phone, and often without needing WiFi or the phone’s data allowance. Take advantage of the different affordances of any relatively modern mobile device by working with text, images, audio recordings, webpages, video recording and editing and much more. Mobile learning is about so much more than finding a few shiny apps and using them. Get to know what all mobile devices can do, and the possibilities are endless. Using mobile devices effectively with your English language students involves more than just doing fun tasks on mobile phones. It also requires some preparation and planning. Below are 5 tips that can help prepare you, your students, and your institution for going mobile. 1. BYOD or Class Sets? Decide whether your learners will use their own mobile devices (BYOD – Bring Your Own Device), or whether your school will invest in class sets of mobile devices, such as a set of tablets that learners can use during class. Research shows that BYOD has a positive effect on learners’ motivation. Learners own devices can be used as a bridge between the classroom and the outside world, for example through photo activities, or messaging apps. BYOD is generally used with teenage and older students. With younger learners, many of whom may not have their own mobile phones yet, a class set approach is usually considered more appropriate. Some schools use a hybrid approach, where learners can choose to use their own device in class or to use a device from a class set. Think through some of the logistical challenges ahead of time. How and where will your learners charge their devices during class if needed? If your school has invested in class sets, where will these devices be stored and charged, and who will be in charge of overseeing this? What apps will you get your learners to download and use? Will the apps will be free? Will they be cross-platform (i.e. the same app for a range of operating systems)? What about security issues such as breakage, loss and theft of devices – who is responsible if this happens on school promises? It's a good idea for you and your school to have a clear digital policy in place that covers all of these issues, before you start using mobile devices in class, and especially with learners under 18. Include guidelines for e-safety, and the appropriate use of mobile devices in your school digital policy. Think through the potential technical challenges as well. If you're going for a BYOD approach, your learners will probably have different devices and operating systems: iOS, Android, Windows... Make sure that the tasks you set your learners can be carried out on any device, irrespective of device type. Use cross-platform apps and think about whether a task will require connectivity. If connectivity is required, will your learners be able to use the school Wi-Fi, or do they need to use their data plans to carry out a task on the move – and if so, can you justify the expense of this? Do they have Wi-Fi at home to be able to carry out a specific task? When planning mobile tasks, make sure that you consider the connectivity issue - where, how, and how much it might cost your learners. Clearly it's better to go for a cost-free Wi-Fi option where possible, and this can affect your task design. Think about the language aims in your mobile based tasks. What language, vocabulary and/or skills are the learners practising through the task? If the answer is ‘none’ or ‘I’m not sure’, then redesign your task. Your learners need to get some language learning input – or preferably output – via your mobile-based task. In other words, make sure your tasks are effective. Good mobile task design exploits a range of the ‘affordances’ (features) of the device. Design tasks that get students to take photos, and/or to audio record or video record. And don't forget that mobile devices are just that – mobile. Get your learners to move around with their mobile devices, in the classroom, around the school, or in the outside world. Design mobility into your tasks where possible. Let's not forget assessment. If your learners are producing digital content via your (well-designed!) mobile-based tasks, then consider how to integrate this work into the course assessment. You can assess not only the language that your learners produce digitally, but also how appropriately they use the digital medium itself. For example, if your learners include images in their digital work, do they use copyright-free images? If they write short texts for publishing on a class blog or social networking site, do they use hyperlinks appropriately? Do they check and quote their digital sources in research tasks? All of these essential digital literacies can be included in your assessment rubric. You can give your learners marks for these, as well as their language skills. After all, effective digital communication consists not just of using words, but also of knowing how to use images, videos, means, and a range of multimedia effectively and appropriately. 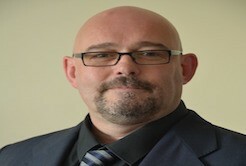 Gavin Dudeney is Director of Technology for The Consultants-E, working in online training and consultancy in EdTech, and also module leader (MATALL) on the NILE / University of Chichester MAPDLE (MA in Professional Development for Language Education). Gavin is author of (among others) The Internet & The Language Classroom (CUP 2000, 2007) and co-author of the award-winning publications How To Teach English with Technology (Longman 2007) and Digital Literacies (Routledge 2013). His most recenbt book, Going Mobile, was published by DELTA Publishing in 2014.